Why Do I Get Only One Arming Notification, but Two Disarm Notifications from ADC? The reason you get only one arming notification, but two disarm notifications from ADC is because you are using an Alarm.com SEM Communicator. These cellular communication modules will always send a double-disarm to make sure there is no alarm memory stuck in the security control panel. 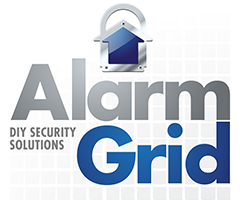 An Alarm.com System Enhancement Module (SEM) Communicator refers to several models of cellular or combination cellular and ethernet communicators that allow various hardwired alarm panels to connect with the Alarm.com servers. This means that the user can access Alarm.com to perform actions such as arming and disarming, checking the current system status and controlling smart home devices. Many of these panels would normally use a different interactive service. This is the case with the Honeywell VISTA Systems, which can use an SEM Communicator to connect with Alarm.com, when they would normally use the Total Connect 2.0 Platform instead. Of course, a user will still need an appropriate alarm monitoring plan in order to use an SEM Communicator. If a system is set up with an SEM Communicator, and the user accesses the Alarm.com Service remotely in order to arm their panel, then Alarm.com will only send one arm signal to the panel through the SEM. In this case, only one arming signal will be reported back to Alarm.com, and the user will only receive one arming notification. But if a user disarms remotely through Alarm.com, then two disarm signals will be sent to the panel through the SEM Communicator. This is done to ensure that the panel is completely cleared if there was a previous alarm event. Remember, many panels require a double-disarm after an alarm event to clear the alarm from memory. Since two disarm signals were received, the SEM will report both of them back to Alarm.com. As a result, the user will receive two disarm notifications, even though they only disarmed once. This is perfectly normal, and no further action needs to be taken.